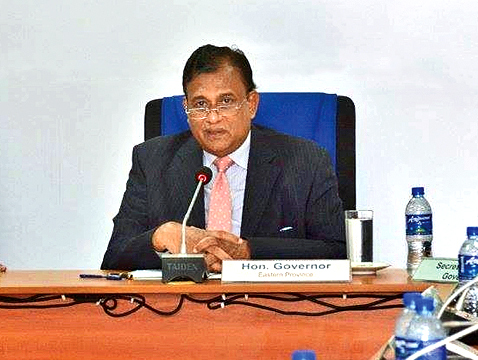 Since all duties and responsibilities of the Eastern Provincial Council have devolved on Eastern Province Governor Rohitha Bogollagama with the expiry of the Council’s term of office, Governor Bogollagama has requested all public servants in the province to carry out their duties well with the same enthusiasm as before to cater to the progress and welfare of the people in the province. Addressing the Secretaries of Provincial Ministries and all departmental heads in the province at the Chief Secretary’s auditorium, Bogollagama said he would do his best to render a people-centered service in the province. He said two prolonged programmes would be undertaken to promote unity and reconciliation in the province. One of them would involve a 90-day programme to complete all ongoing development programmes by obtaining necessary funding and the other would involve the promotion of communal harmony and reconciliation. All people would be treated alike during this endevour by eschewing communal bias or other considerations.